NEW BMW 2 SERIES ACTIVE TOURER . AVAILABLE AT BARRETTS BMW IN ASHFORD AND CANTERBURY. A combination of compact dimensions, functionality and practicality with a dynamic design is exactly what you can expect from the BMW 2 Series Active Tourer. Whether it’s sports activities, road trips or for day-to-day use, the BMW 2 Series Active Tourer is always ready to go. 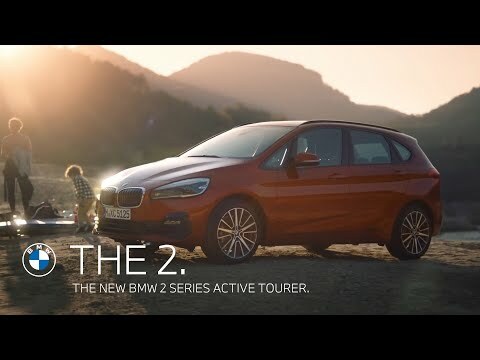 THE BMW 2 SERIES ACTIVE TOURER IN MORE DETAIL. Whether it's the whole family or bulky luggage that needs to go from A to B, there's room for everybody and everything in the BMW 2 Series Active Tourer. Adjustable seats, a luggage compartment with folding floor and countless storage possibilities enable you to alter the space available to suit your requirements. Large doors make it easy to get in and out of the vehicle and the boot, with its contactless opening and closing functions (available as an option with Comfort Access), ensures excellent loading comfort. The refined rear design, with large L-shaped lights and wide wheel arches, give the BMW 2 Series Active Tourer a sporty character. At the same time, the large boot with a low loading sill and wide opening provides convenient access to the luggage compartment. Indisputable proof that functionality and aesthetics can be combined perfectly: The exterior of the BMW 2 Series Active Tourer adds unprecedented dynamics to this vehicle segment. When viewed from the front, it's the contoured bumper, low windscreen and high bonnet that immediately catch the eye. In profile, striking lines create a dynamic impression that accelerates the vehicle even it's standing still. Furthermore, the high roof-line and large doors indicate the ease of access to all seats. There's plenty of room for functionality in the BMW 2 Series Active Tourer. The striking centre console, the inside of the doors and the central armrest offer numerous storage possibilities, such as a compartment for smartphones or glasses as well as stowage space for cups and large bottles. The optional foldable passenger seat increases the flexibility factor. Take the wheel of the outstanding BMW 2 Series Active Tourer and experience it for yourself. With over 100-years of refining, every BMW model has been crafted to deliver pure driving pleasure. There has never been a more exciting time to drive the open road. Fuel economy figures for The BMW 2 Series Active Tourer range: Extra Urban 76.3 – 61.4 mpg Urban 60.1 – 43.5 mpg Combined 68.9 – 53.3 mpg CO2 emissions 109 - 124 g/km. Figures may vary depending on driving style and conditions. Test drive subject to applicant status and availability.